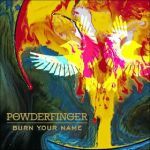 decent aussie rock track from Powderfinger. Solide Nummer, wurde als 2. Single ausgekoppelt. Etwas Reamonn liegt in der Luft..
Really cool single cover for this song and also great vocals and guitar in this Super song . They've really gone downhill. Nothing on their past releases. Good track, though nothing on their previous material. One thing that I don't like is the bass during that pre-chorus part; it just goes higher than it's supposed to. Easily my favourite from them. A lot better than All Of The Dreamers. One of their weakest tracks ever.